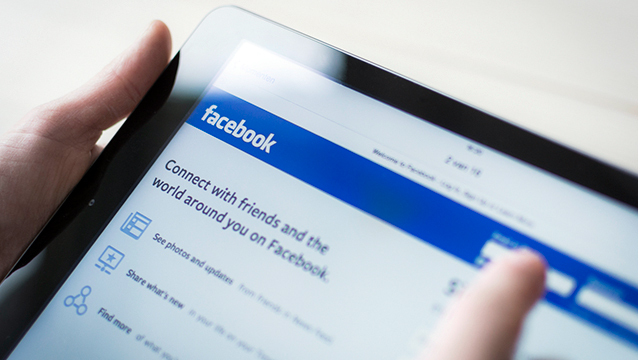 More than 66 million Filipinos visit Facebook each month. The expansion of its Philippine office cements the social network’s strong influence and immense reach in the country especially as more and more people are using it to leverage their businesses, as well as for social change. According to John Rubio, country director of Facebook Philippines, the social media platform has been an integral part of the Filipino digital society and that the 66 million Filipinos who visit Facebook each month are highly engaged users. “Facebook is committed to helping the Philippines build for the future by enabling businesses grow and contribute to the country’s economy and by creating a safe, informed and inclusive community,” he said. In the Philippines, more than 50 million Filipinos are connected to a small and medium enterprise (SME) business page on Facebook, Rubio said. “Looking internationally, we're also focused on helping businesses connect with the 130 million people living outside of the Philippines who are already connected to an SME on Facebook based in the Philippines,” he added. Rubio narrated their efforts to help small and medium enterprises thrive through education programs that will give them the tools they need to succeed. In fact, Facebook has partnered with the Bayan Academy and the Department of Trade and Industry (DTI) to provide digital marketing workshops for SMEs. 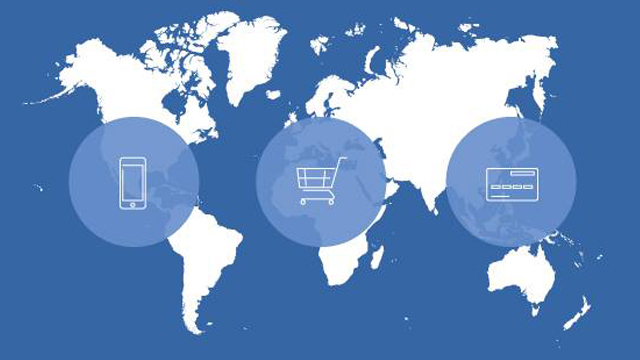 Since 2017, Facebook has conducted seminars for over 1,700 SMEs in seven cities. They are expanding these training sessions to reach over 4,500 entrepreneurs in 25 cities all over the country by the end of 2018. Rubio also said that 95 percent of Filipinos in Facebook discover new products and services and that three out of five Pinoys end up buying. The best example? Rubio cites his wife, who found dog food via Facebook. He said that his wife and the business owner even talked about the transaction over Messenger. He said that the platform helps business owners respond and get real-time feedback from their customers. “What we’re seeing is that Messenger is driving conversational commerce in the Philippines,” he said. Aside from conversational commerce, Facebook campaigns or ads help startups reach customers and potential partners. An example is Zennya, an on-demand health and wellness platform based in Manila that matches customers with highly trained therapists who specialize in massage, physical therapy, home medical services and beauty and grooming. In 2016, the company launched an experimental campaign to find new customers, as well as to recruit new therapists. They used ads to find new customers for the campaign, while, to recruit new therapists, they used a carousel ad to show the different job openings. They also targeted women who need to balance work and family. Zennya also used click-to-Messenger ads which is supported by Zennya’s bot for Messenger. The bot was dynamic and flexible enough to answer inquiries and gather insights. By the end of the campaign, the company gathered 10,000 leads and acquired over 5,000 new customers. From those who submitted their interest, they were able to hire 700 new therapists who enjoy three to five times the normal wage for therapists. Businesses are embarking on the journey to digital transformation with the aim of unlocking growth opportunities and to better connect with today's mobile-savvy Filipinos, according to Rubio. “For large businesses, we also want to help them realize untapped potential across all touch points—from strategic partnership and insights, to conversational commerce on Messenger, to hands-on workshops and education,” added Rubio. One of the companies that leveraged Facebook to increase their revenue is United Laboratories (Unilab), which launched a new skincare product called Lactezin. They used a lighthearted video and photo ads that targeted both men and women in the Philippines aged 20 to 40. By the end of their campaign, the brand experienced a 10-percent increase in sales, a 12-point increase in ad recall, and a five-point lift in brand awareness. Aside from highly customizable ads and targeting that big businesses can use, Facebook is also helping Filipino companies evolve the way they collaborate through Workplace by Facebook. Employees at Meralco, Philippine Savings Bank (PSBank) and 7-Eleven, for example, are connecting on one platform, helping create more efficient workflows and an overall stronger company culture. “Bayanihan,” a truly Filipino practice of building communities and creating progress, has taken a virtual form in Facebook. It’s no surprise that Filipinos are actively building communities online to connect with one another. In fact, Pinoys have created more than one million Groups on Facebook, including those that aim to create positive social impact. One of these groups is Miss Possibilities, which raises awareness about children with special needs and empowers them by highlighting their talents and skills. Founder Suzanna Pavadee Vicheinrut Yuzon said that aside from their events, members constantly connect with one another by sending photos of their kids’ progress and sharing tools that their children may find useful. Another is Connected Women, a community that promotes tech-powered entrepreneurship with training and networking opportunities for women entrepreneurs. Their CEO and Founder Gina Romero said that her aim is to lessen women who are forced to work abroad due to lack of opportunities in the Philippines. Red Cross Philippines has also used the platform to mobilize their volunteers nationwide in times of disaster. Facebook has partnered with the organization full-day training sessions on crisis-response tools. They were also given access to Facebook's disaster maps which are used by the National Disaster Risk Reduction and Management Council (NDRRMC), through the Office of Civil Defense, and by the Philippine Disaster Resilience Foundation. For May Layugan, operations center manager of the Philippine Red Cross, the organization prefers to use Facebook messenger instead of text brigades because Filipinos change mobile numbers very often. It became a faster, more efficient way to stay connected to volunteers and handle issues. “In times of crisis and disaster, we've turned to Facebook to get in contact with volunteers. Recently, in our disaster recovery operations for communities affected by typhoon Vinta (Tembin), we gathered over 200 volunteers who quickly mobilized to help, and provide us real-time updates from the ground through Facebook messenger,” Layugan said. Big corporations are also taking part in digital bayanihan. Globe Telecom launched Digital Thumbprint, a program that equips the youth with skills to think critically and act with empathy online. Yoly Crisanto, Globe Telecom's senior vice president for corporate communications, said that they chose teenagers from Grades seven to 12 because they are most vulnerable to issues like cyberbullying. “We found out that they are the people who are subjected to cyberbullying, online sexual exploitation, or even up to some point, addiction,” Crisanto said. Even after all these efforts, Facebook believes that it can do so much more for Filipinos. This is in line with their work mantra that the journey is just one percent finished. “It’s a constant reminder for us that if we think we’ve achieved a lot already and we realize that there’s still a lot of work,” Rubio said.